As the dust settles on Wimbledon tennis and anticipation building away for the new football season, what does the discerning gent with taste for sporting action watch, let alone attend during the balmy summer? Summer is, of course, cricket season up and down the nation – and globally too for those in the northern hemisphere. 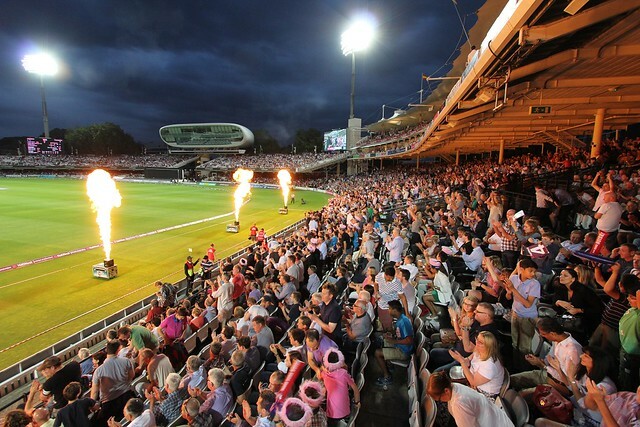 Whilst the five-day test series that cricket is famously known as somewhat of a commitment for the time-poor and entertainment craving discerning gent, the shorter quick-fire matches of the T20 series offer a better bite-sized option. Played over 20 overs – it is a game of fours and sixes as each team races towards as high a total as possible within the 20 overs and without the entire team being bowled or caught out in the process. Combine this with the possible chance (weather is never guaranteed, sadly) of a balmy summers’ evening with friends and ice-cold beverages – it’s the perfect blend.